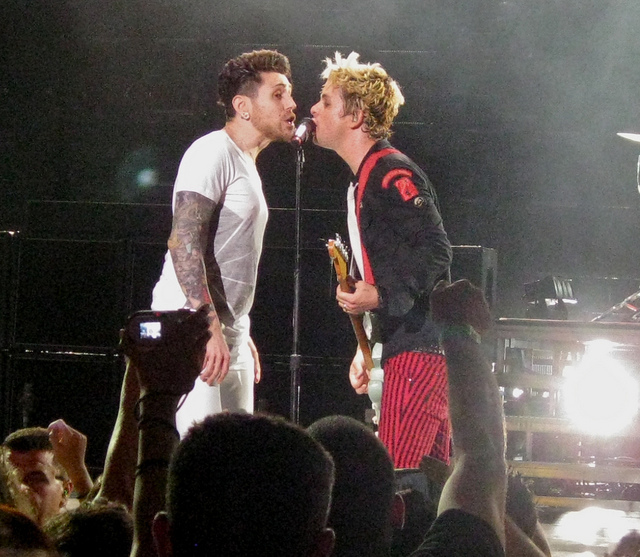 On a tour nearly two decades in the making, Green Day and AFI arrived at New Jersey’s PNC Bank Arts Arena on a cool August evening. Born out of the East Bay, California, punk scene, both bands played similar venues as teenagers; Green Day tasted mainstream success in 1994 (seven years after forming) as AFI was releasing their first full-length. The bands’ paths diverged for quite some time. As Green Day gained mainstream popularity with punk-pop singles and the immensely popular acoustic “Good Riddance (Time of Your Life)” through the late 1990s, AFI remained a relatively unknown act that continued to release punk albums year-after-year until 2000. The bands’ paths nearly converged in 2004, following the release of AFI’s major label debut (Sing the Sorrow) and Green Day’s rock-opera, American Idiot, but once again Green Day far surpassed AFI’s popularity. Fast forward to the present: both bands joined forces to support their latest 2009 releases. The timing seemed to be right: the exponentially more popular Green Day took AFI on a coast-to-coast run of America’s summer theaters, giving the act a chance to gain exposure in front of nearly twenty-thousand fans per night. 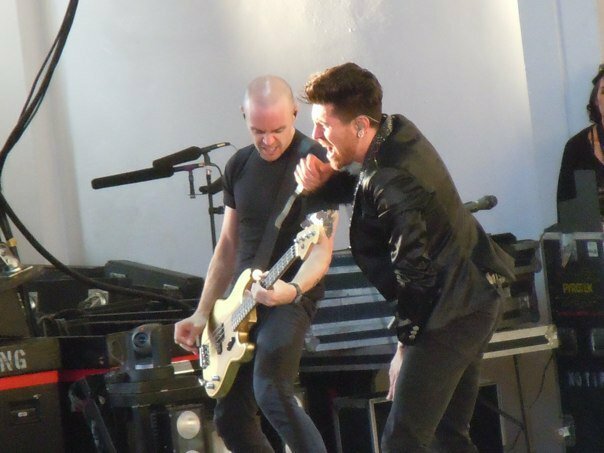 Beginning promptly at the advertised time of 7PM, AFI opened the evening with “Medicate”, the lead single from 2009’s Crash Love. Amidst a generally stale (yet well-performed) “greatest hits” set, the quartet did manage to play a few interesting cuts, including the rarely seen “I am Trying Very Hard to Be Here” which featured frontman Davey Havok dancing about the stage wearing a pink boa — a gift from a fan. 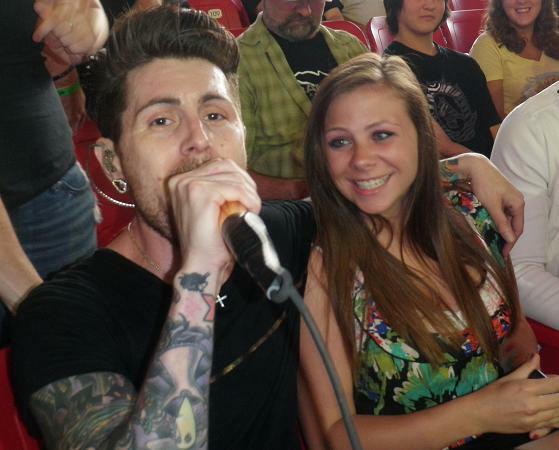 Havok did his best to accommodate a group of loyal AFI fans who came out to see the band’s brief set, encouraging them to turn the seating area in front of the stage into a “GA” standing room affair; the singer even jumped into the crowd to perform, sitting next to fans while singing. To a fairly empty venue, AFI raced through ten tracks in just thirty-five minutes, wasting no time between songs and just once embellishing on a song’s original studio version (“Dancing Through Sunday” featured an extended introduction, extending the brief track’s length to just under three minutes). The seasoned veterans clearly understood their role as an opening band at an 18,000-capacity arena: play some well-known songs to whet the crowd’s appetite, and then quickly make way for the headlining act. In front of an enormous, elaborate cityline backdrop, Green Day kicked off their pyrotechnics-filled setlist with a four-song barrage of 21st Century Breakdown songs, including the album’s first three songs in order. 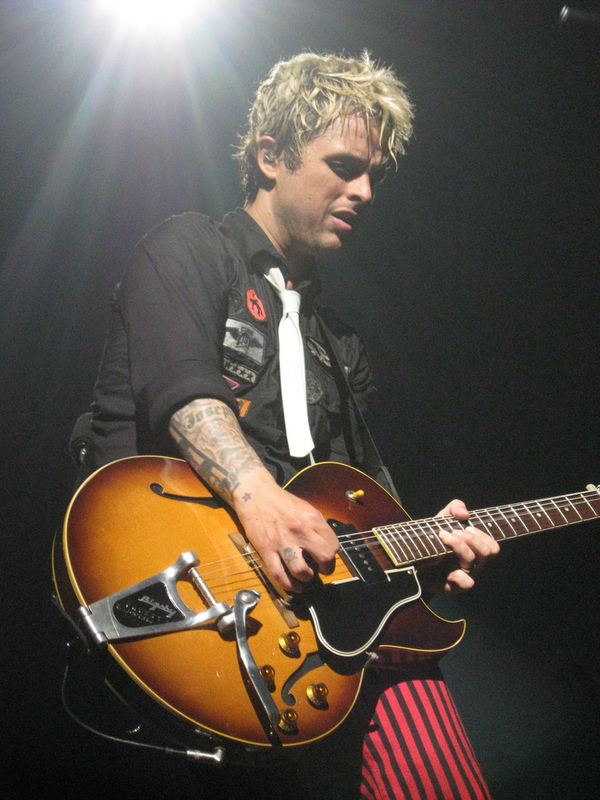 “East Jesus Nowhere” went fourth, and frontman Billie Joe Armstrong used the song to reenact a a stereotypical Southern United States Christian salvation scene. 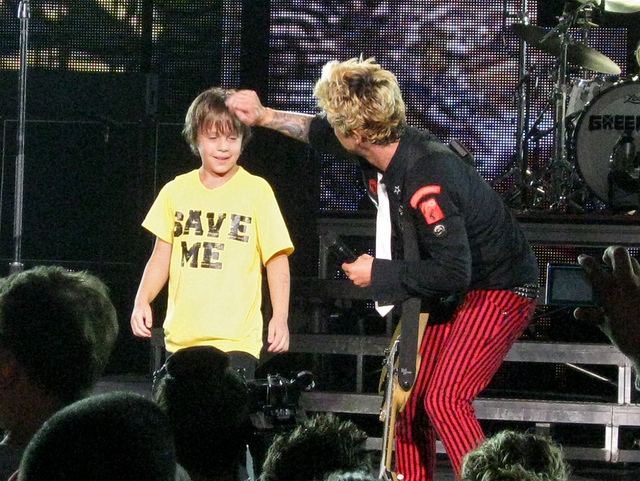 Acting as a preacher, Armstrong brought a young fan on stage, dramatically placed his hands on the boy’s head, and then expelled all evil from his body, proclaiming that the boy had now been saved. “Holiday” pleasantly interrupted the string of 21st Century Breakdown songs and theatrics with Green Day ripping through the song in front of a video background of planes, tanks, and similarly themed war propaganda. “Are We the Waiting” into “St. 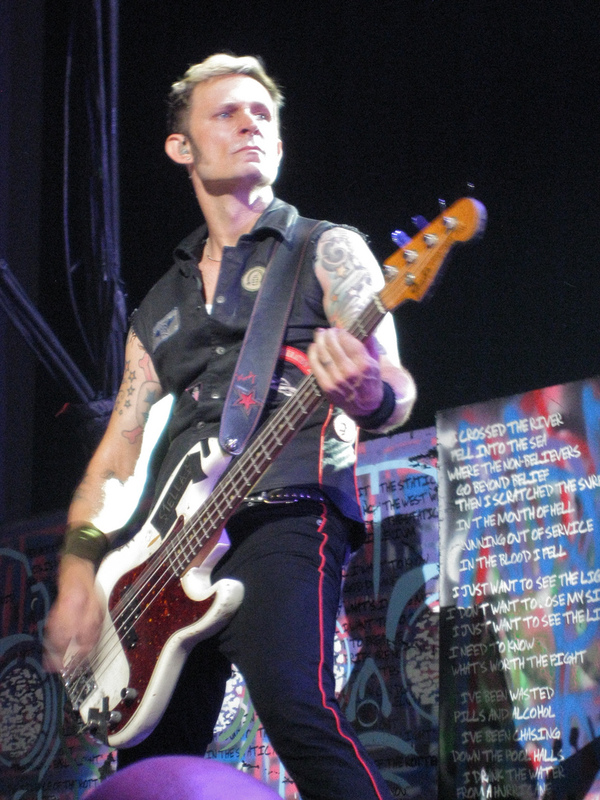 Jimmy” segued perfectly; more from 2004’s American Idiot followed with a solid performance of “Boulevard of Broken Dreams”, one of the band’s most recognizable tunes. Midway through their three-hour set, Green Day shifted gears and dug into their punk-pop catalog of the 1990s. A pair of album-openers led the charge: Dookie‘s “Burnout” and Nimrod‘s “Nice Guys Finished Last”. One of the night’s remarkable highlights came with AFI’s Davey Havok singing on “Who Wrote Holden Caufield”, embarrassing Armstrong’s barely passable vocals in the process. Interestingly, the song was first released on Kerplunk! in 1991 — the same year Havok founded AFI with drummer Adam Carson. 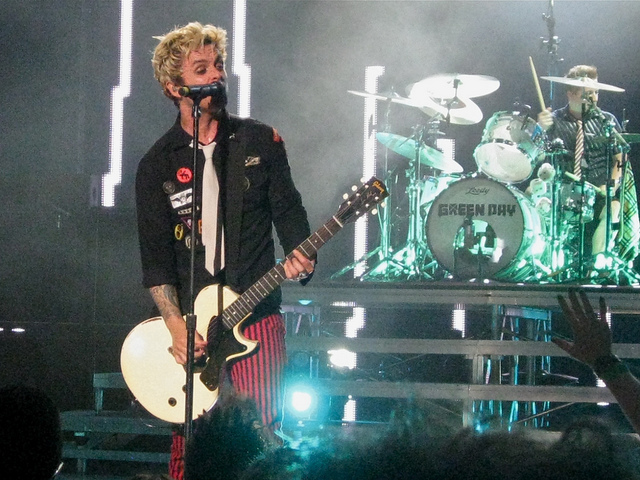 Green Day continued to string together songs released decades ago, including “Paper Laterns” and “2000 Light Years Away”, during which Armstrong invited fans to rush on stage and sing along. For as good as Green Day’s performance was, the night wasn’t without missteps, the first of these coming in the form of an uninspired and poorly executed medley of Black Sabbath (“Iron Man”), Van Halen (“Ain’t Talkin’ ‘Bout Love”), The Kinks (“You Really Got Me”), Guns N’ Roses (“Sweet Child o’ Mine”), and AC/DC (“Highway to Hell”). The band picked up steam with the radio-recognizable “Brain Stew” and “Jaded” combination, but things kept turning sour with Armstrong’s constant calls for the crowd to echo his “hey-oh” cries during and between many songs. The band brought a few fans on stage for “Longview”, each unsuccessfully attempting to the sing the not-too-difficult tune, but a woman performing the song through American Sign Language ultimately salvaged an otherwise poor performance of what could have been a great song. 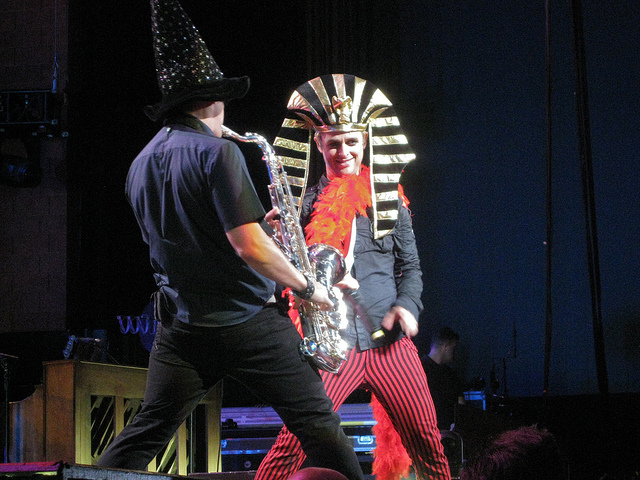 The jovial “King for a Day” quickly transformed into The Isley Brothers’ “Shout”, featuring drummer Tre Cool on lead vocals. Another botched medley from Armstrong once again brought Green Day’s set down to an unbearable crawl, with the singer laying down on the front of the stage while working through bits and pieces of The Doors (“Break On Through (To The Other Side)”), Tom Petty (“Free Fallin'”), The Rolling Stones (“(I Can’t Get No) Satisfaction”), Bruce Springsteen (“I’m on Fire”), and The Beatles (“Hey Jude”). Luckily, Armstrong followed with a solid solo acoustic performance of “Extraordinary Girl”. The penultimate “21 Guns” was mind-numbingly dull, but “Minority” (the only cut from 2000’s Warning) wrapped up the first part of Green Day’s setlist successfully. As part of the first encore, Armstrong walked through the crowd during an extended bridge of “American Idiot” while the band droned through the song’s monotonous three power-chords. The ten-minute “Jesus of Suburbia”, in contrast, was excellent. “When It’s Time”, debuted through the American Idiot musical, began the band’s second encore with just Armstrong alone with a guitar. “Wake Me Up When September Ends” continued to showcase Green Day’s softer side, and Armstrong wrapped the evening up with the band’s biggest hit, “Good Riddance (Time Of Your Life)” and a fireworks display. What began as a concert morphed into a carnival, almost spiraling out of control towards boredom and unrestrained excess. Somewhere between drenching fans with a firehose, launching shirts out of an air cannon, and donning various costumes, Green Day managed to play a solid setlist filled with not just their many singles, but also lesser known fan-favorites. Three hours is a long time to play in front of a crowd, but only two-thirds of that time was about playing the band’s music with the rest being theatrics and filler. Still, Green Day deserves much praise for tackling more than thirty songs, largely with unbridled passion and impressive accuracy. Armstrong is a flamboyant frontman who thrives on theatrics; it’s not readily-apparent on Green Day’s albums, but one trip to a Green Day concert reveals that the band is heavily invested in both their music and their stage show alike. You are currently browsing the inTuneMusic blog archives for August, 2010.